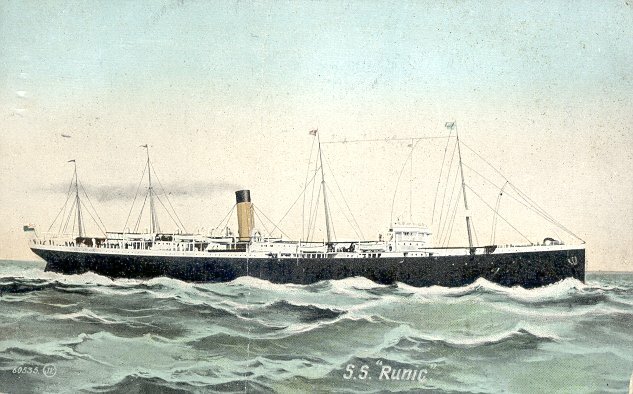 The fourth of the five Jubilee Class ships, Runic II was launched at Harland & Wolff, Belfast, in 1900. 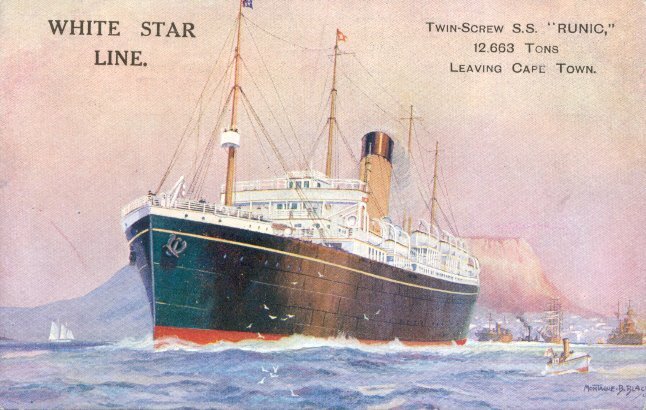 She made her maiden voyage from Liverpool to Sydney on 19 January 1901 and remained on this route throughout her White Star career. Like her sisters, she remained in commercial service throughout World War I because of her large capacity for frozen meat, although she was operated by the Shipping Controller under the Liner Requisition Scheme from 1917 to 1919. In 1930, Runic was sold to the Norwegian firm of A/S Sevilla and converted into a whale factory named New Sevilla. 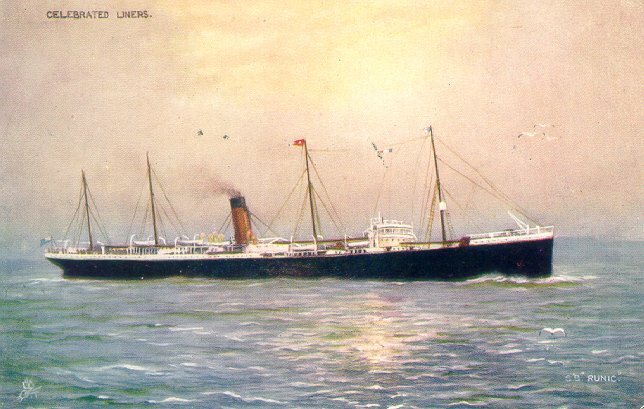 She retained that name when A/S Sevilla was purchased by Christian Salversen in 1931. New Sevilla was torpedoed and sunk by U138 30 miles off Galway on 20 October 1940, while en route from Liverpool to Antarctica as part of convoy OB 216. 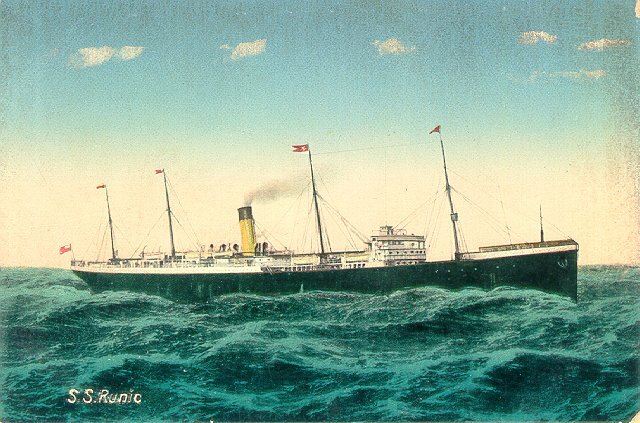 She remained afloat for 20 hours, permitting 412 of those on board to be rescued. There were, however, two deaths. Sources: Haws' Merchant Fleets; Anderson's White Star.